The original conceit of this book - Galileo interacting with indivduals from far in the future - does not seem that impressive at first blush. Indeed, a brief office poll produced a great deal of derision. However, first impressions are sometimes deceiving, as they proved in this case. 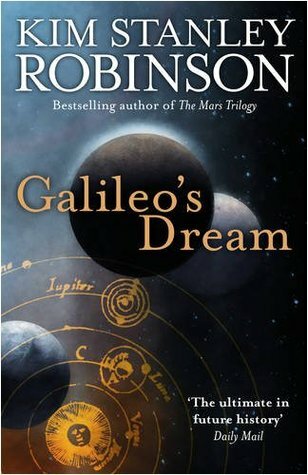 The characters are well realised, including the epynonymous Galileo. Many authors might have hesitated to personify such a huge historicla figure, but the author does so smoothly, and generates a believably flawed character whom the reader can quickly come to empathise with. The medieval settings are extremely well detailed, and clearly the result of some solid research. While some commentators may be upset at the modern linguistic turns which invest the narrative of these medieval characters, I found that it made the text more accessible, and certainly more engaging. The plot itself is convoluted, with enough little twists and turns to keep the reader turning pages, though on occasion (particularly earlier in the book), the cryptic goings on are not given enough depth to really pull on the reader's intrigue. Surprisingly, I found that the main failing of this text was in the portrayal of the 'future', which was given as much, if not more depth than the historical past with which it intersected. However, despite this effort, it often seemed unreal, and the characters harder to understand or empathise with. On the other hand, this may have been intentional. Overall, the text is an intriguing and evocative read, and one which I believe I will return to more than once, as I'm sure there are pieces of the puzzle that I missed. Well worth the wait, and well worth the read.